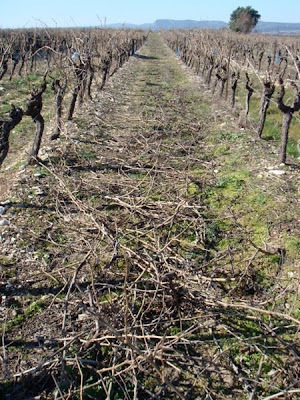 Today our olive trees had their beauty trim before summer. The twigs came to a good amount and I remembered still having a good sized spare wreath base. 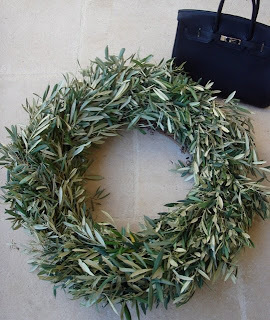 Ideal circumstances to make an olive wreath! 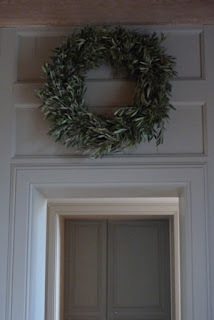 I love wreaths, they are easy to make from whatever nature gives and make such pretty decorations. Wearing my De Passage à Tokyo Twilly and Mors scarf ring (for a how-to click here). 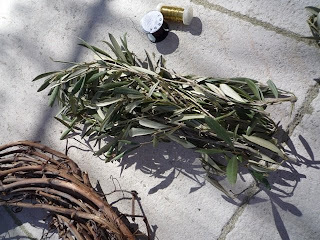 The ingredients ~ vine clippings and olive twigs. 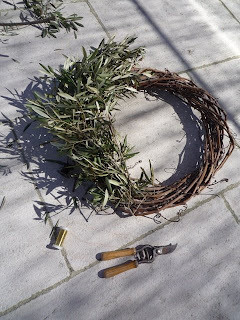 The wreath base is made by bending the vine clippings, click here for instructions. 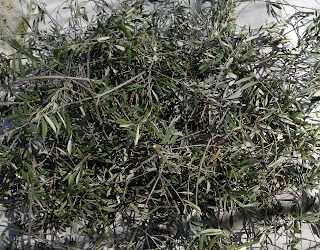 Not having to make the base I started off by selecting as straight and long olive twigs as possible..
gathered them into little bunches.. I thought this one would make a wonderful wall hanging and it looks as if I have found the perfect spot for it! Je ne savais pas que l'on pouvait en faire une comme cela!! Merci Bruno! 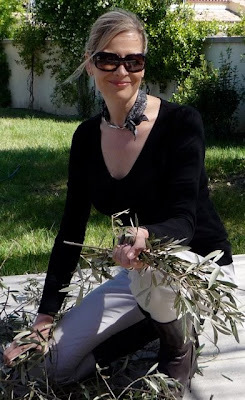 On peut le faire avec les herbes aussi.. c'est très utile pour la cuisine! 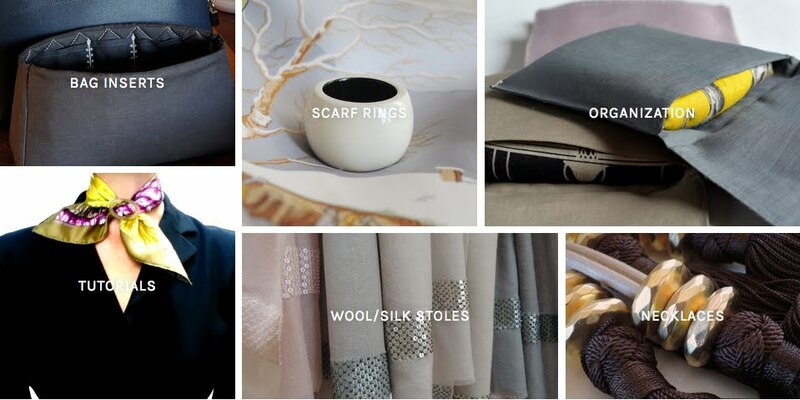 Really lovely! 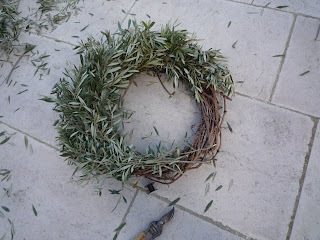 I like the simplicity of the olive leaf and using this makes quite an impact in a large wreath. It's elegant. Thank you BM! 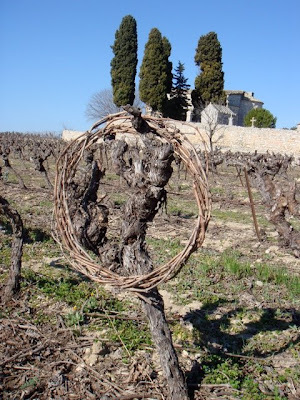 With any luck, it should age beautifully too. Simply B E A U T I F U L ! !